According to a 2018 trends study published by Houzz, the leading onlineplatform for home design and renovation, bathroomsare the most frequently renovated spaces in Spanish homes. The study shows that a third of those polled had renovated their bathrooms. There are several reasons for these renovation projects. Top of the list is to improve both the functionality and design, followed by a desire to increase the value of the property. Do you fall into any of these groups? 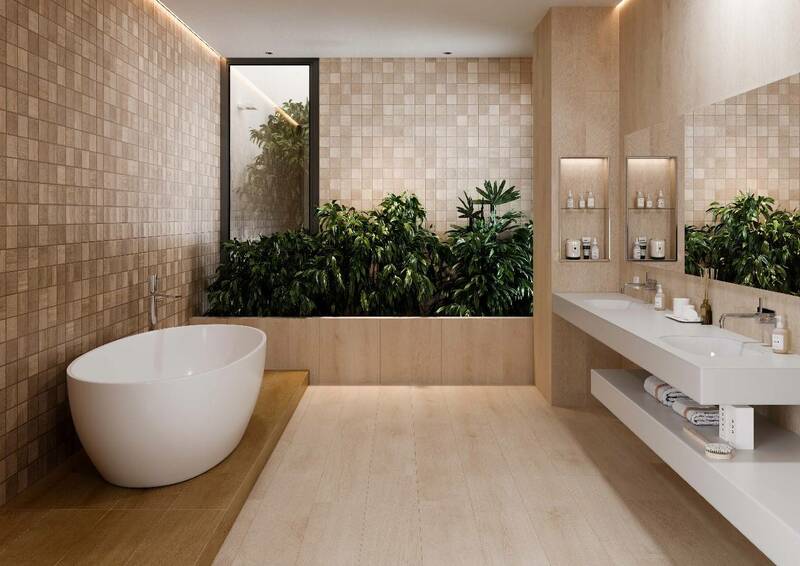 If the answer is yes and you’re planning to renovate your bathroom, then we’re here to give you all the inspiration you need to turn your bathroom into a haven of tranquillity in your home. Use neutral tones. For instance, grey tones are particularly soothing and also make spaces appear larger. Add pops of white for an even brighter look. Use materials that are reminiscent of nature, such as wood. Arrange plants in the room for a touch of green. Place all the elements facing forwards. Arranging items such as the wash basin, plants, storage units and the mirror like this will add a sense of spaciousness to your bathroom. Include a large mirror, which will also make the room look bigger. Go for tiles with lots of character. Try using different tonesand textures as featured in the photograph. Make the bathtub a focal point by standing it on a raised platform. 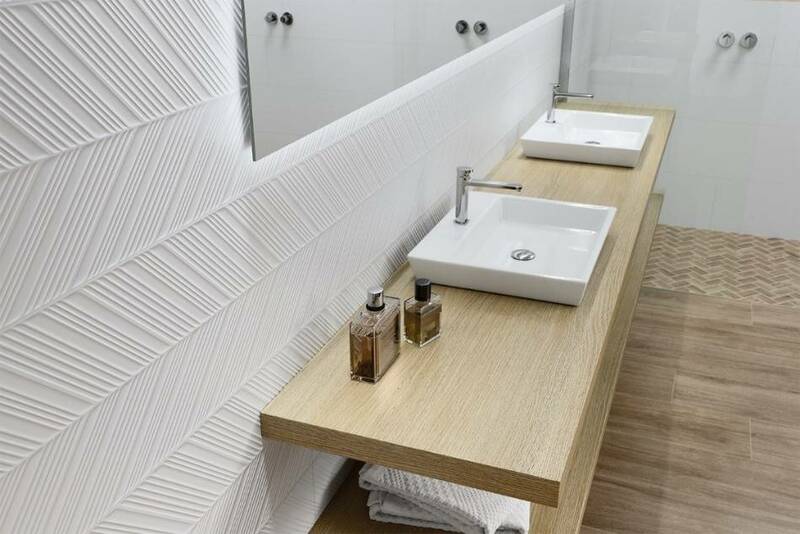 Choose simple white elements that will create a contrast andhighlight the wall tiles. Match them with floor tiles in similar tones, such aswood-effect ones. The Timeless collection by Metropol is perfect, as it comeswith anti-slip technology. Fill the space with plants. They will add a splash of colour toyour bathroom as well as a natural touch. Choose your favourites to personaliseyour bathroom, making it a truly unique haven. Everyone knows that white is the perfect colour for creating a bright, luminous bathroom. 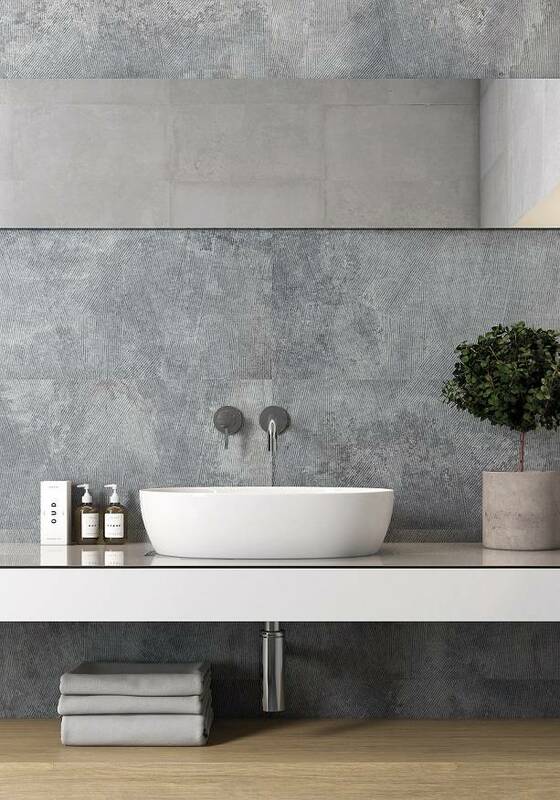 Choose several different types of wall tiles in this colour, such as a plain design for the shower area and another with a bolder texture for the rest of the room, to create a sense of luminosity and space. Do the same with the floor tiles. Choose a textured mosaic option for the shower area which will make it stand out from the rest of the bathroom flooring. 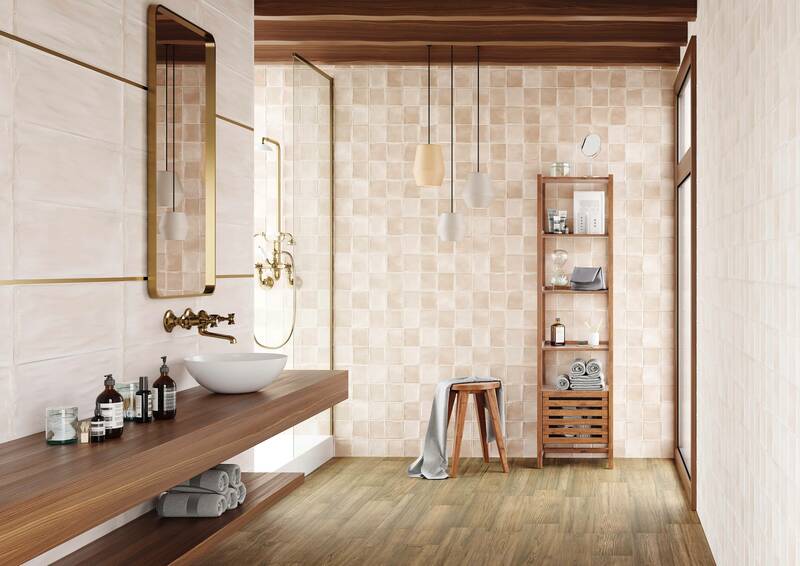 Wood-effects look fabulous with white and will lend a natural touch to the bathroom. Go for light tone furniture and floor tiles to create contrasts but without losing any brightness. Always include a large mirror, as this will make any bathroom look much larger. Choose a shower with a transparent enclosure in order not to create any visual obstacles. Make the bath tub the focal point of the room and a truly unique space. This can be achieved by using different wall and floor tiles from the rest of the bathroom. Choosing bright tones will make the space look much lighter. What’s more, by placing the bath tub next to the window, you will create a bright but comfortingly cosy spot. Opting for a darker tone tile from the same collection will create a contrast that highlights the bathtub. Add plants, an easy chair or some other object that will soothe and calm you. Create a space that you will be reluctant to leave. Now everything is ready for stepping into the bathtub for the most relaxing soak of your life. If you love the Mediterranean, then this is the bathroom for you. Lay tiles that imitate the traditional Mediterranean cement tiles. Choose wooden furniture. Our suggestion combines contemporary furniture with vintage tiles – the perfect combination for creating the warmest – and coolest – coastal feel in your bathroom. We recommend gold tone taps and trims as they are the perfect match for brown and sand tones. Don’t forget those classic Mediterranean touches. Wooden furniture for warmth, an artisanal stool or ceiling beams. Grey wall tiles are the key to adding an industrial style to your bathroom, practically transporting you straight to New York. Lay cement-effect styles on the floor and walls. 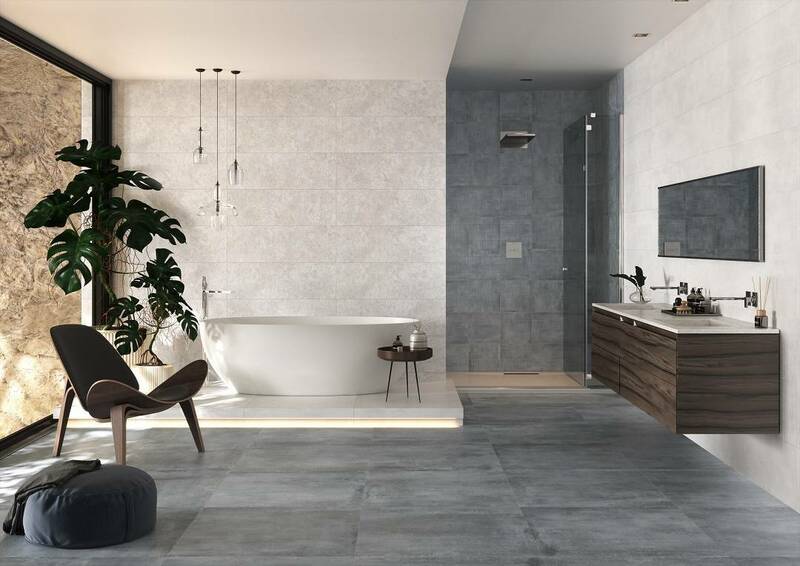 Instead of the original cement, go for tiles inspired by this material as they will give the room a greater sense of character, as well as being really easy to clean and maintain. Choose metal-tone taps in simple, minimalist designs. Keep the decoration to a minimum – in this case, less is definitely more. But never forget to include a plant. We bet you’re already planning your bathroom renovation! 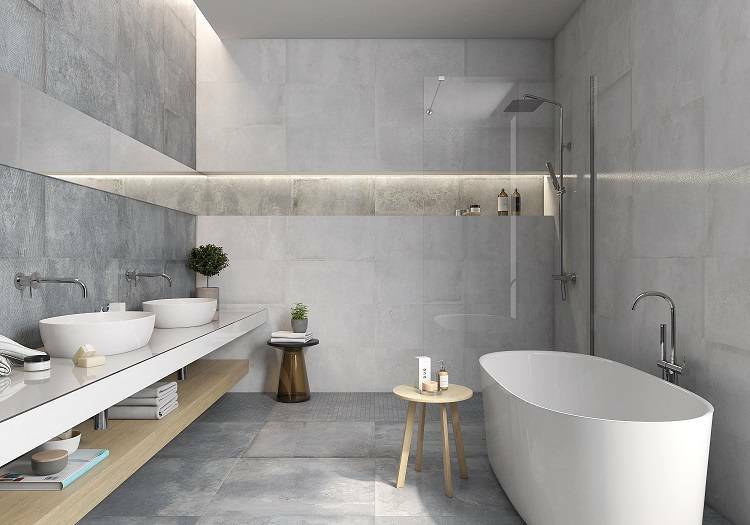 If you’d like to find out more about how to renovate your bathroom, then don’t miss our post entitled “Three bathrooms that will get you dreaming of a renovation project”.